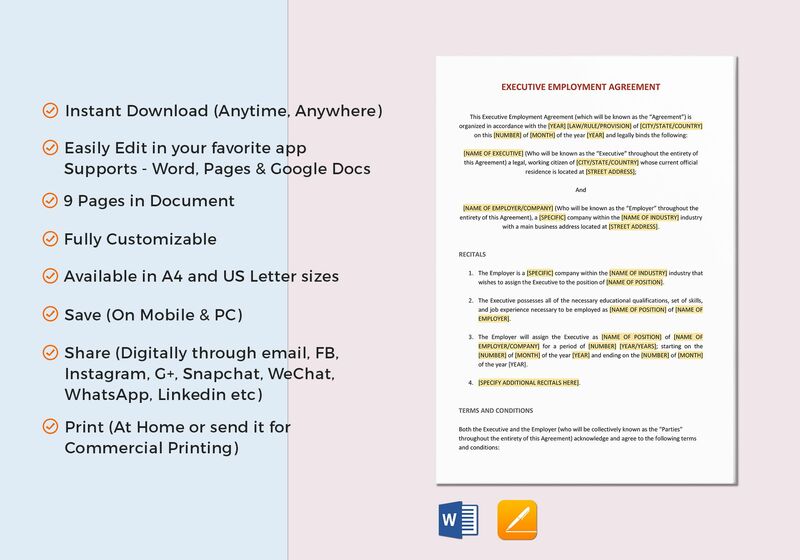 Create full time employment agreements with this Employment Agreement Executive Template. 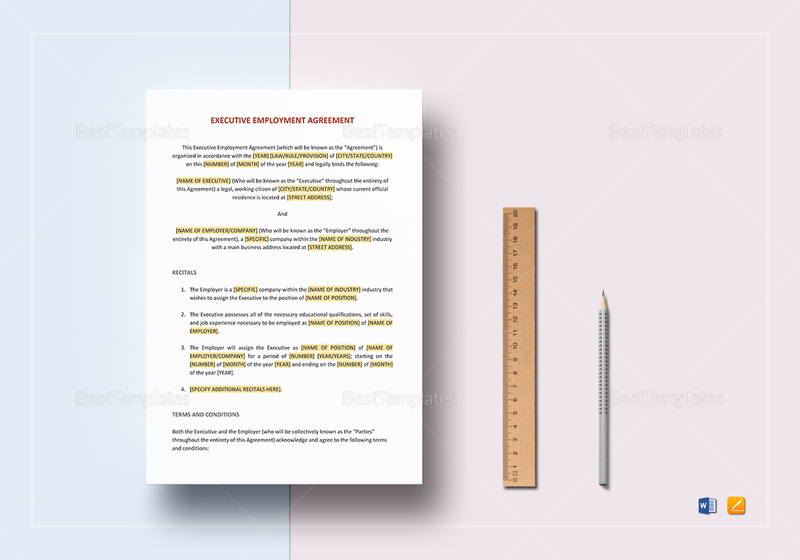 This 9-page, fully customizable document is complete with business standard fonts in A4 and US letter sizes. Edit using your chosen application that supports file formats for Pages or MS Word. Conveniently print at home or send out for commercial printing. Click on download now and get instant access to this amazing template.